One mini album using Down on the Farm just wasn't enough! This collection is just so super cute that I had to make another one. If you missed the first one, you can get the details on that one here. 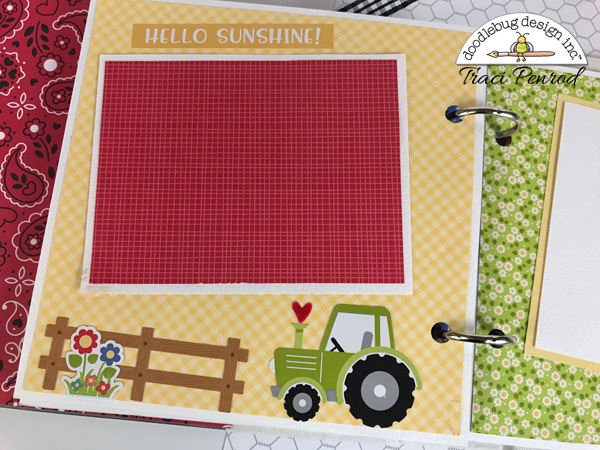 This time, I used a 6x6 chipboard album and created a little farm scene on the cover. 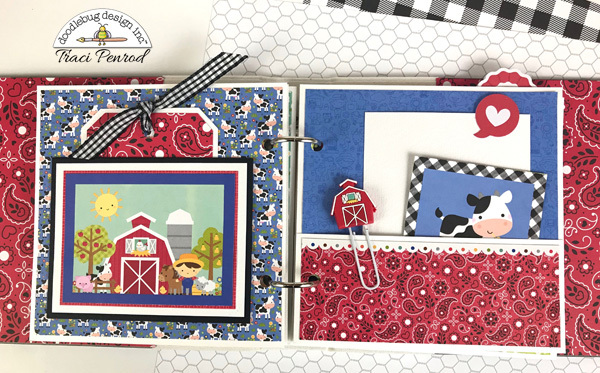 I used the 6x6 Down on the Farm paper pad (except for the 12x12 red bandana paper on the cover). 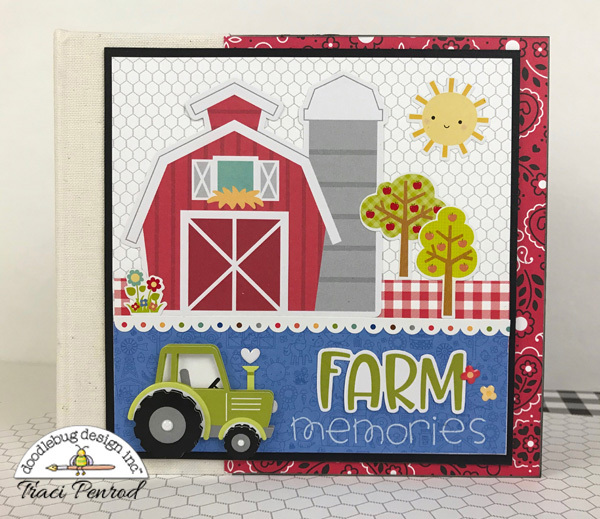 The 'Farm' title piece is from the Chit Chat pieces, and then I added rub-on letters for the 'memories'. The sweet little cow and sheep are from the icon stickers. Is that jelly clip not the cutest thing ever! I used two of them in this album ... one for each pocket. 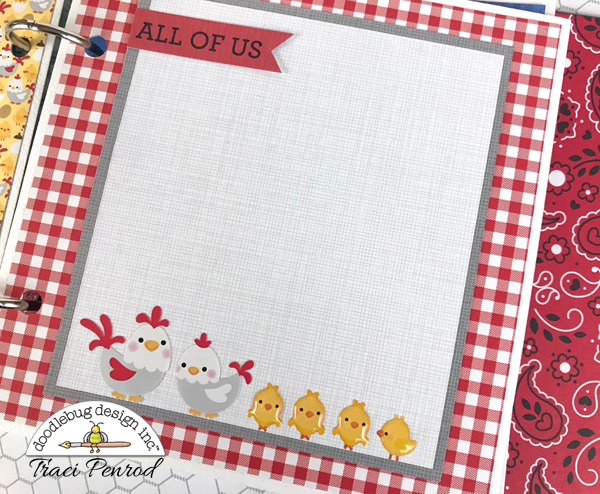 I love all Doodlebug sprinkles, but those little chicks are just precious! Well, that's farm mini #2! 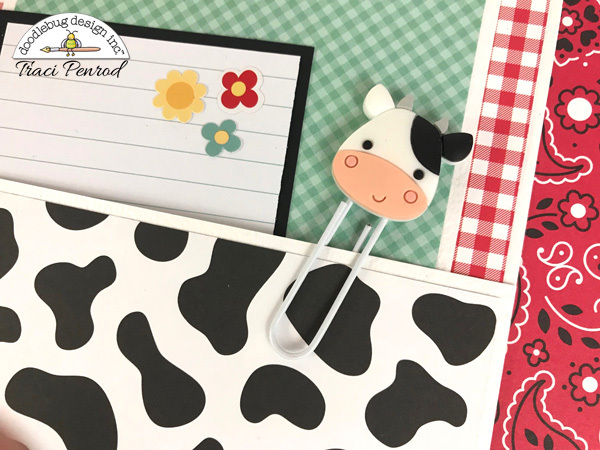 I hope you are enjoying all of the country cute projects that the design team is sharing this month! Join in the fun and share your projects with us on Facebook, Instagram, and Pinterest! You did it again. This turned out so sweet! LOVE it! 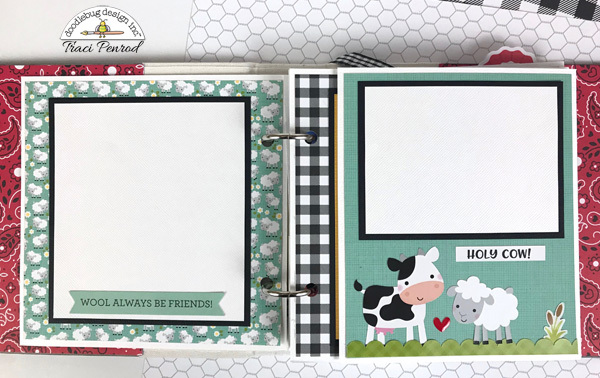 SUPER DUPER adorable mini album you have made! So cute! Truly inspired me to pull out my trusty vinyl cutter to create a fun animal themed album for my daughter. This is adorable! 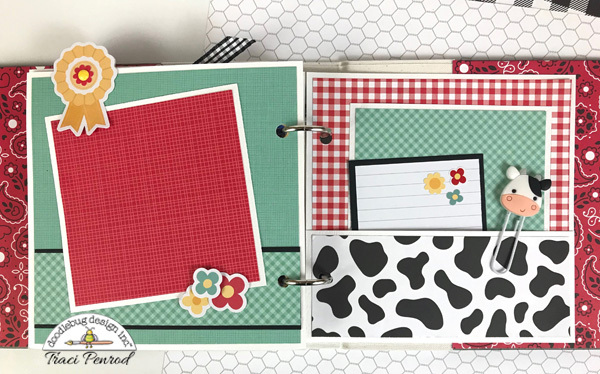 I love scrapbooking with these cute kid themes and using my Cricut vinyl machine to cut all of these cute shapes. Thanks for the inspiration!